I am pretty sure Chinese night is one of my favorite dinner nights! My husband and I used to go out for Chinese all the time while we were dating, so when I made the switch to real food years ago, I decided to spend some time in the kitchen figuring out how to make our favorite Chinese dishes in a more whole foods way. General Tso’s chicken was always his favorite, so I have this one down to a science and I try to have it on the menu once a month. 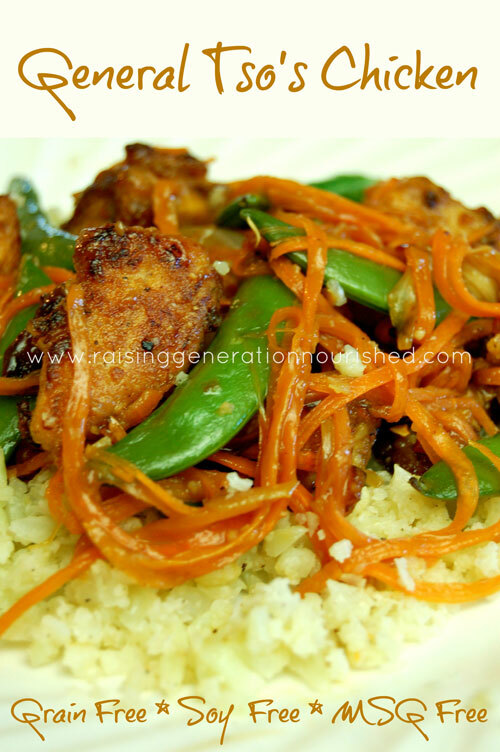 Chinese stir frys are great way to load up the family’s plate with really great tasting veggies. 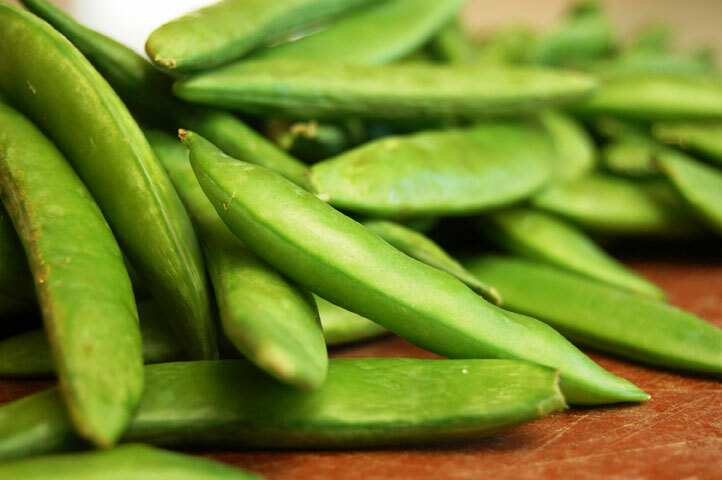 Sugar peas are a great spring veggie and they go so great with Chinese dinners! The kids are gonna love them. My girls will eat julienned carrots for days and days. They take on the texture of a noodle when cooked and they are just so delicious! 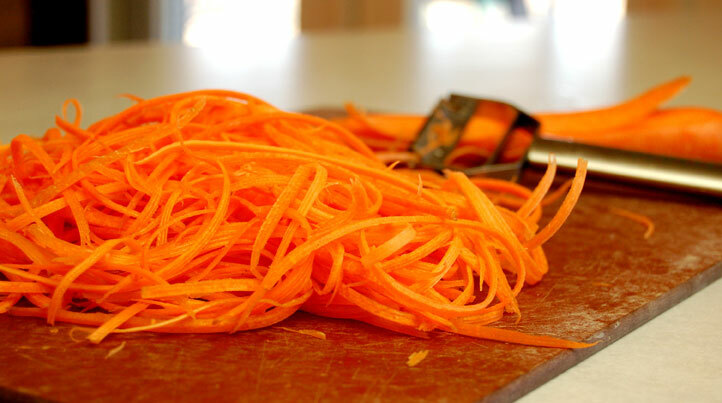 And no need for fancy equipment – I just have a simple julienne peeler and it is fabulous – I use it weekly! I love Chinese dinners served over rice, and cauliflower rice works so great if you are grain free while you are healing your tummy, or just watching your grain intake. Very, very simple and cooks up super quick. So here is my take on General Tso! 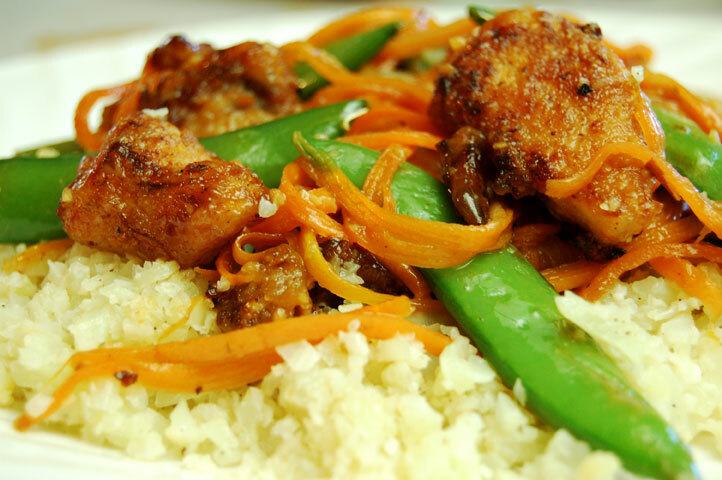 Surprise your family with Chinese night this week and feel good about filling them with nourishing food! 2-ish cups cooked chicken from your weekly crockpotted chicken, cut in chunks to your preference. Start with frying the chicken. Put the almond flour, arrowroot, and seasoning in a bowl. Pour the coconut aminos over the cooked chicken and mix to get the chicken wet. Roll the chicken in the flour mixture to coat. Put the coated chicken into a very hot large skillet or wok with the melted butter. Let the chicken brown well on all sides (let it sit to cook for a good couple minutes on each side). Take the chicken out of the pan to set aside until the rest is done. Add more fat to your pan or wok to melt and add the onion to sauté about 5ish minutes. Hit the onion with a few pinches of sea salt to bring out their juices to sweeten. Add the julienned carrots and cook just a couple minutes. Add the coconut amino slurry to the pan and simmer a few minutes. Add the fried chicken to the mixture to heat through and turn off the heat. While you stir frying the veggies you can cook your cauliflower rice in a different pan. 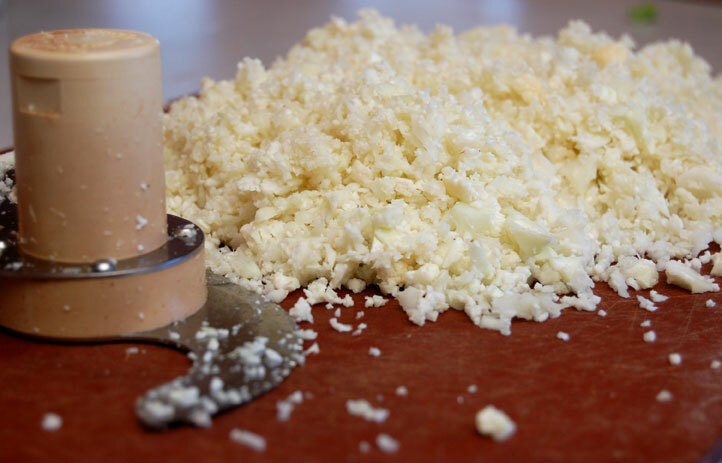 Add the cauliflower bits to a hot skillet with melted butter. Add sea salt/pepper and stir through until cooked to the texture you want. We like our rice a little “al dente” versus too soft so I cook the cauli rice for about 5-7 minutes and it’s good for us – just go longer if you want it softer. 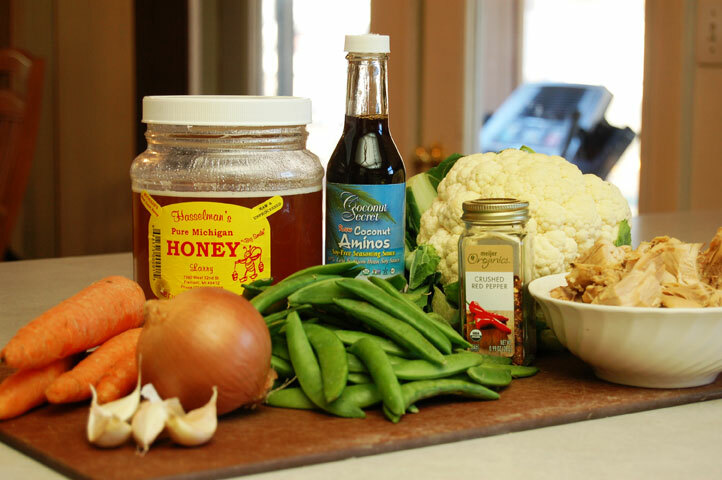 Serve the stir fry over your cauli rice! Don’t be intimidated by the list of ingredients and the recipe in general! This really comes together so fast! I did this all start to finish including clean up in less than an hour and I was having to stop to take pictures along the way! Prep the day/night before or the morning of dinner if you need help with time saving! You can cut all the veggies and pulse the cauliflower so all you have to do close to dinner is dump in the pan! You don’t have to flour and fry the chicken if you don’t want to or don’t have the time. Shred up the chicken and throw it into the pan with the veggies plain and it will take on the flavors of the sauce. Use whatever veggies are in season! You can get coconut aminos HERE. It tastes just as good as soy sauce so you can avoid the soy. I do find mine cheapest at our local health food store so price check it out! I always add more red pepper flakes to my husband’s plate. He loves heat but I have to keep it palatable for the little ones at my table too! If the whole family loves heat just double what I have in the ingredients and you should be good! So keep me posted on how Chinese night goes at your home! Is there a substitution for the almond flour that will work? Hi Lois 🙂 Absolutely! Coconut flour works well, and if you are able to use grains you could do white rice flour. Let me know if that helps! Made this tonight for my VERY picky husband and he loved it. Hi Lori – I would pre-cook the chicken and then follow the recipe from there. Hope you enjoy!! Very good taste, but my chicken was overcooked so it came out kind of shredded. I made it into lettuce wraps. Hi Gina! I bet that was still tasty! Hope you enjoyed! Do you cut the cauliflower small beads and then cooked? And why call his name rice cauliflowers? Why can I not copy and paste this? 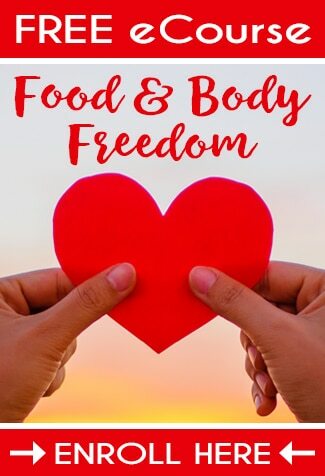 I’m trying to make a MS Word doc with a bunch of Paleo recipes to try. Printing yours by itself is a waste of paper when I could just add yours to a list of others that I format to fit efficiently on the page. 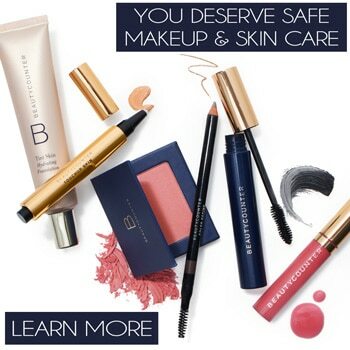 Hi J – I have the copy and paste feature turned off on my site because of the amount of content theft I deal with on a regular basis. There are many, many sites out there that steal content off of other people’s sites and use it as their own on their sites. That is illegal as copyright laws protect websites and bloggers, just like any other medium. Turning off the copy feature is one way that I protect my copyrighted work from theft. Sorry for the inconvenience, but I’m sure you can understand! Feel free to email us at support(at)deliciousobsessions(dot)com with the recipe you would like and we can email you a copy of it! Thanks!